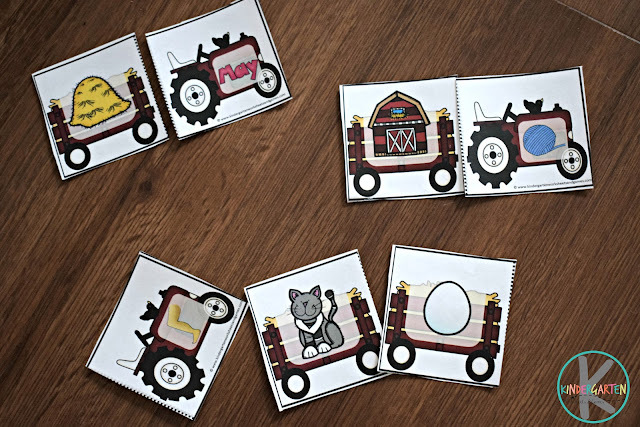 Get ready to make learning fun, engaging, and memorable for a whole month with this mega pack loaded with 220+ math and literacy worksheets, hands on math activities, engaging literacy activities, 6 science experiments, social studies emergent readers, farm life cycles, and so much more in this Farm Unit for kids to learn while having FUN! This Farm Unit is HUGE! It is chalked full of so many math, literacy, science, and social studies worksheets and activities you won’t need to open a boring text book for a month! 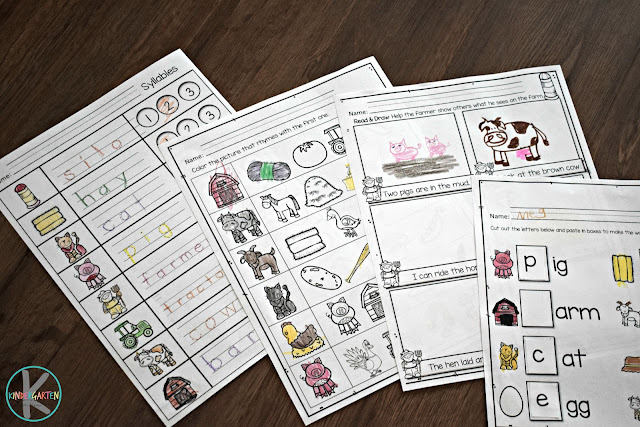 Just dive in to the fun farm theme in the spring or fall to learn everything you Kindergarten student needs to know. 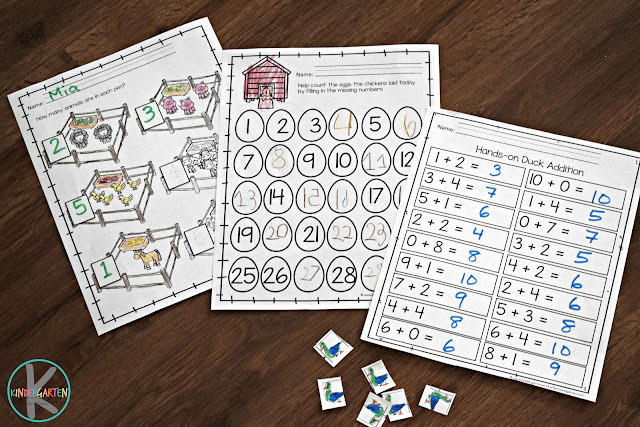 Kids love colorful, hands on activities to learn math! 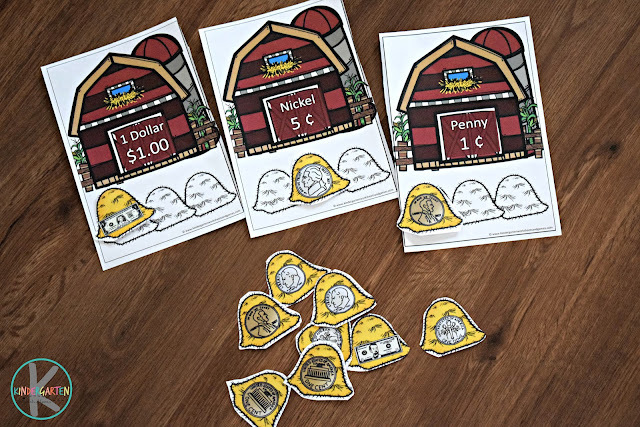 These LOW PREP, colorful, hands on math activities are perfect to entertain and engage young learners. 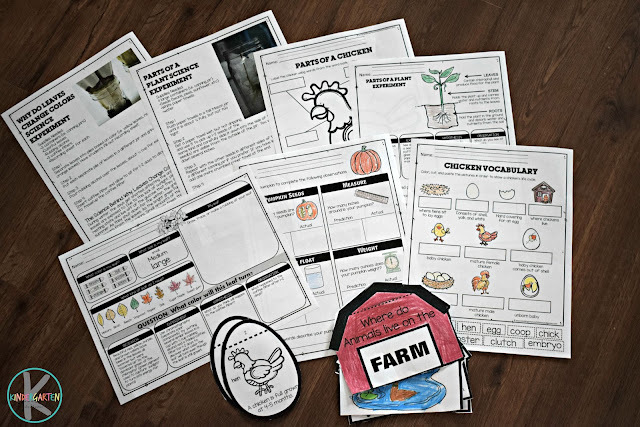 CHICKENS – take an in-depth look at chickens / eggs with two fun egg science experiments complete with instructions, explanation, and worksheet.Plus worksheets to label life cycle, parts of a chicken, emergent reader, and chicken vocabulary. PUMPKINS – take an in-depth look at pumpkins with a pumpkin craft and experiment (including explanation and worksheet). 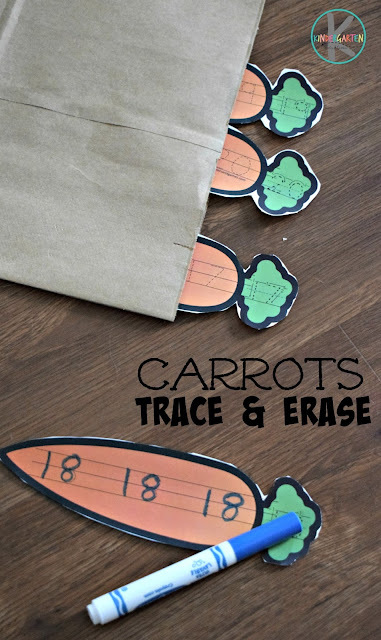 Plus pumpkin worksheet to label parts of a pumpkin (inside and out) and their life cycle. PLANTS – take an in-depth look at plants with three science experiments that explore parts of a plant and leaves. 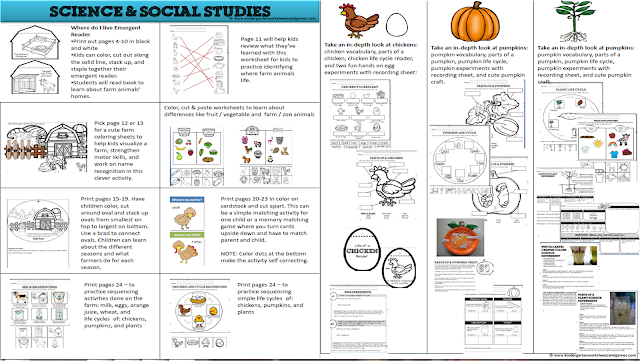 Each include process, explanation, and worksheet to chart experiment. Also included are life cycle and what does a plant need worksheets. Grab our amazing, HUGE Farm Unit here!